As in any industry, in oil and gas production the objective is to maximize production while minimizing overhead. Unlike many other industries, however, oil and gas refineries represent a substantial outlay of capital, so optimizing capital expenditure is critical for maximum return on investment (ROI) and return on assets (ROA). Fortunately, oil and gas refineries are also rich in data that can be used to improve production while cutting costs. Using prescriptive analytics, refineries can harness statistics from equipment performance, maintenance frequency, unit performance, process parameters, and more to create an operational intelligence (OI) framework that can actually determine future performance. Traditionally, refineries have used predictive analytics to provide a model of historical performance, making it possible to make some educated guesses about equipment performance and failure rates, but that’s not enough. For the new generation of smart refineries, prescriptive models are incorporating additional factors such as deferred maintenance, change in market demands, and downstream production variables to drive OI and reshape capital expenditure. Refinery executives realize that past performance is not an accurate representation of current and future requirements. They understand that they need a combination of historical, and current operational performance as well as accurate operational models to predict future performance and meet changing demand. Using big data techniques combined with prescriptive analysis, refinery management gets a real-time model for decision-making. This is the foundation for the OI that powers the new generation of smart refineries. Smart refineries use prescriptive analytics in conjunction with machine learning to develop strategies to optimize production and capital expenditure. For example, in modeling production, real-time parameters such as production requirements, asset availability, personnel, and work permits all have an impact on production. Asset management and maintenance is visualized as part of production, and factors such as multiple work orders have to be factored in. For capital equipment, data from engineering can be used to track scheduled maintenance and monitor meantime between failure (MTBF) to schedule preventive maintenance and identify the impact of repairing versus replacing worn equipment. Prescriptive analytics plays a key role in managing equipment maintenance, as well as identifying future capital expenses. Oil and gas refineries especially face a variety of challenges when it comes to managing capital expenditure. Reduced oil prices are having an impact on operating budgets, requiring refinery managers to do more with less. Operators are putting off regular equipment service to save money, delaying major turnarounds beyond manufacturers’ recommended specifications. Important assets also are continuing to age and most critical equipment in service is typically more than 20 years old. When you break it down into individual capital assets, you end up assessing specific components, such as the performance of a pump and its effect on production as performance degrades. Increasing production capacity means assessing each component in the supply chain for reliability and safety. Oil and gas consultants have created a new approach to understanding refinery reliability and maintainability (RAM) by examining each item for reliability. That means assessing the inherent dependability of each component in the refinery, identifying potential causes of failure, and determining the best strategy to minimize risk from a possible failure. This kind of process-based reliability model is prescriptive by definition, considering the impact of each element in the production chain and assessing quantitative risks to each one. When assessing the end-to-end reliability of the refinery the prescriptive analytics model is driven by process modeling, probability modeling, and asset management data. As part of the analysis, weak links in the production chain are revealed which provide clear indicators on where to invest in new equipment and repairs. RAM projections also can be invaluable for promoting safety. Prescriptive analytics can be used to model safer operations, supporting design-for safety, hazard and risk analysis, and assessment of asset integrity. The result is fewer incidents, reduced risk, and better regulatory compliance. Continued pressure on refinery management to get more from a deteriorating infrastructure is generating more demand for a highly accurate process-system-reliability model for refinery operations. 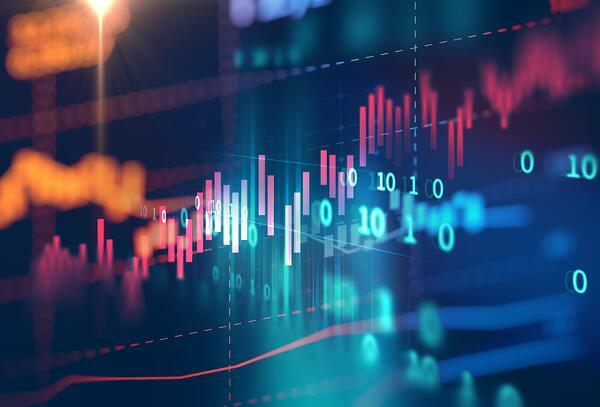 The only way to understand the impact of asset capitalization and deliver the OI needed to make fast, sound financial decisions is with prescriptive analytics. Unless you can factor in all the variables that impact capital equipment, your decision-making is going to be based on incomplete information.